In 2000 Janette Ray purchased 8 Bootham York, a medieval timber framed building leaning up against the walls of St Mary’s Abbey a Scheduled Monument and just minutes from York Minster. 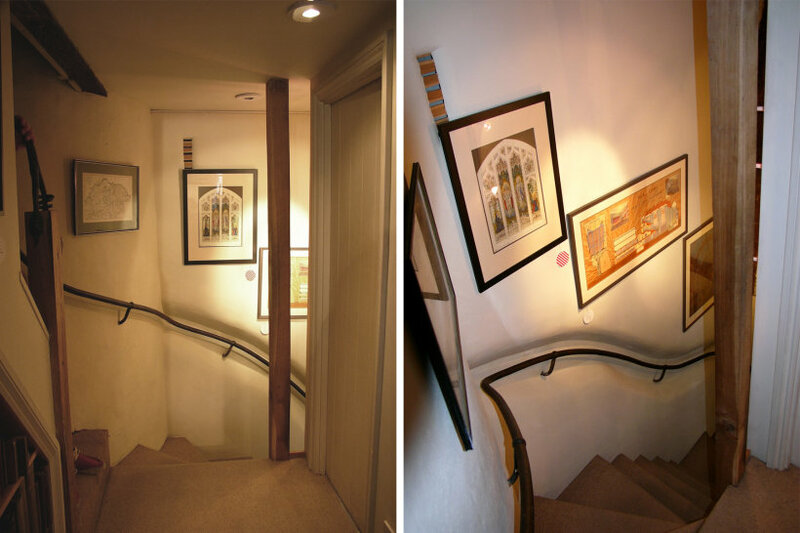 At the time of purchase the building was internally ruinous with all the original features masked by modern plaster boarded walls. Listed Building Consent and Scheduled Monument consent was required. In assessing applications, the Secretary of State will aim to ensure that the significance of protected sites such as this are safeguarded for the long term future and English Heritage approval is then given. Renovation of the building revealed original fireplaces and wooden beams and a superb space. 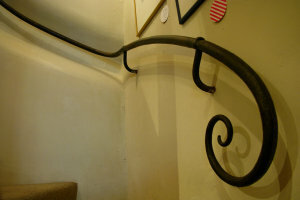 Members of the York Artworkers Association were key in undertaking the work particularly Chris Topp, iron worker, who made and supplied the staircase hand rail and Peter Baker, specialist plasterer who undertook the plastering. 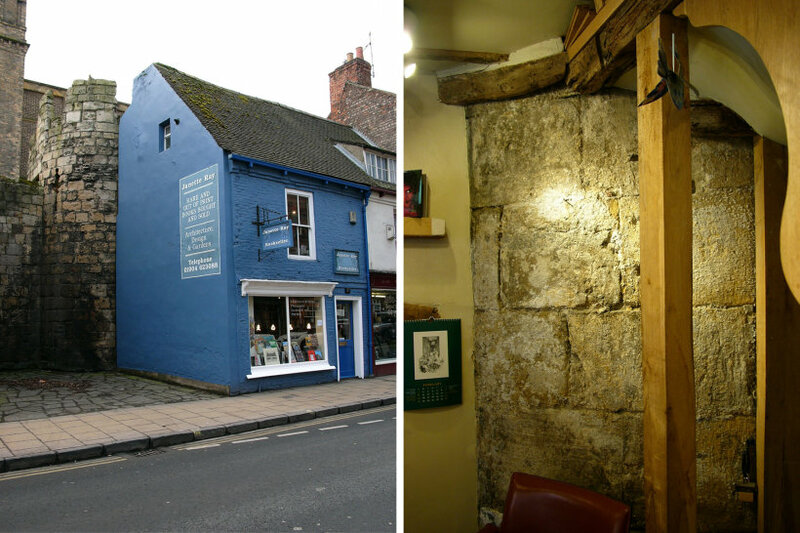 The work of all the local craftsmen has contributed to the creation of a lovely shop for selling books on design subjects.